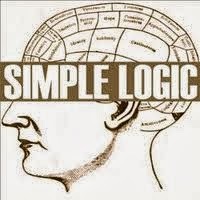 Home » Logical , LR » How to solve Logical Reasoning part in elitmus pH test? How to solve Logical Reasoning part in elitmus pH test? Logical Reasoning is always the toughest part of eLitmus. In elitmus LR questions usually comes with 2/3 bits . A paragraph is given with full of information followed by 2/3 questions. You have to read it and use your logic to answer the questions. In 3 sections CAT paper there is no special section on LR but one can expect LR questions to be present in any section. Most problems give a variety of conditions and you must use an "if"-"then" approach. It's important that you read the whole problem, and choose the best hint or clue before starting to solve the problem. When practicing logic with reasoning making a chart or drawing a picture are good strategies. Before starting any LR problem it s advised to keep few points in mind. Before you try to answer a few sample questions, here are some general test-taking tips that should help you with the Logical Reasoning section. NEVER assume or use any information that the question fails to give you. This is NOT an assessment of how much you know about economics in general! Consider ONLY the information given in each reading passage when choosing among the alternative responses. "Test-taking" courses or your college instructors may have advised you to avoid any response choices that contain the quantifiers "all" or "none." In both the practice questions here and in the actual economist assessment, these words are NOT signs of incorrect response choices. They will appear in both correct and incorrect response choices. Also Read:How to solve Data Sufficiencyquestions in elitmus? where are the sample questions :-? pls help me for all exams and provide me all details about this. Try to play run 3 game now. Exam is only for freshers?